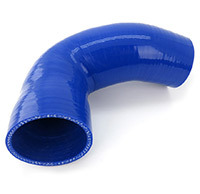 The extremely durable silicone hose is designed to withstand higher exhaust gas temperatures often caused by higher boost pressures and modified ECU programs. It can also be a wise improvement to a stock or limited package for increased reliability. .